Thought leader Matteo Carbone has titled his book All the Insurance Players Will Be Insurtech. He means that insurance companies that embrace digital transformation and technologies will lead the industry. Those technologies include the Internet of Things (IoT), Artificial Intelligence (AI), Machine Learning (ML), and Big Data. Carbone believes that the use of new technologies gives insurers “superpowers” to assess risk more accurately, manage risk continually, and mitigate risk in real-time. 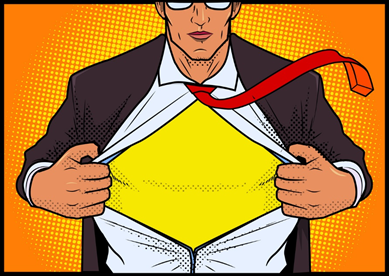 The process of getting superpowers is the process of converting IoT data into actionable insights, and using those insights to reduce risk through prevention and mitigation of claim events. As the powers grow, so do the benefits to insurance customers and providers. Insurers can also increase the pace of customer interaction. It is the growth in the number of interactions produces more data points, and the same data is used to prevent or mitigate risk, while driving the sale of additional services outside the traditional insurance value chain. Remote monitoring and emergency alert services also provide peace-of-mind to the customer. These are only the start of additional services. Insurance companies are now selling a matrix of other services layered on top of the base policy. The income of these additional services often outpaces the sales from the insurance policy. At the same time, customer retention grows , as does the upsell opportunity for other insurance products. Carbone stresses that IoT is an incredible opportunity for the insurance sector, and the use of IoT data allows insurers to deliver superior value. 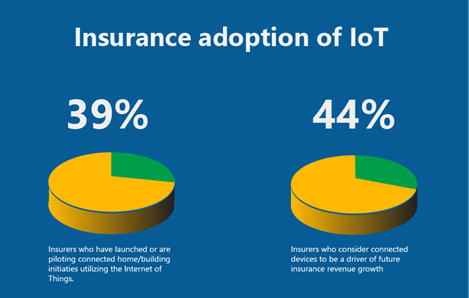 IoT adds to the availability of real-time data and increases the number of interactions with the insured. That results in a better customer experience, increasing retention, and expanding relationships. The analysis of the new data streams increases the understanding of risks and the customer base, which can lead to the next generation of products. Maybe in response to this advice, insurance companies are moving to take advantage of this new stream of IoT data. Recently, an industry analyst estimated that 39 percent of insurers have launched or are piloting connected-home initiatives, and 44 percent consider connected devices to be a driver of future insurance revenue growth. Don't start from scratch! Follow these steps to continue your journey towards assessing risk more accurately. Read Azure IoT Central overview. A fully managed IoT Software-as-a-Service solution that makes it easy to create products that connect the physical and digital worlds. Create an Azure IOT Central sample application in minutes to become familiar with the tools, using the IoT Center application quickStart. Review the IoT developer’s guide. This guide provides an overview of Azure services that address key IoT solution requirements, as well as a step-by- step progression you can use to build proficiency and move toward a fully functioning solution quickly and easily. I post regularly about new developments on social media. If you would like to follow me you can find me on Linkedin and Twitter.